How to Build a WordPress Website from Scratch (2019). Whether you need a professional website for your new business idea, or you just want to build a website for the fun of it… You’ll learn everything you need to know in this tutorial. We’re going to cover the entire process, step by step, and in a way that anyone should be able to follow along with. You should still have no problems building a WordPress website! If you enjoy the video, please subscribe to the channel (and click the bell icon) to be notified of any new tutorials I release. I release weekly WordPress tutorials that will show you how to further modify your new website even further. Wanna share the video with friends? Here’s a list of everything covered in the tutorial, and you can click the timestamps to be brought to that part in the video. 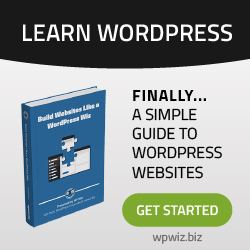 01:05:21 Congratulations on building a WordPress website from scratch! Now you might be wondering why you should use WordPress to build your website, instead of one of the other platforms, like Wix or Square Space? 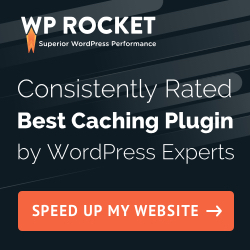 Well, personally I’ve been using WordPress for 7+ years at the time of writing this, and can tell you from experience that it just keeps getting better! And celebrities such as JAY-Z & KATY PERRY to name just a few. Oh, and just so you know that I’m not being bias, I’ve used Wix to create a few different sites in the past, and even created a tutorial on how to use it on another channel of mine. I’ve also used Square Space & Weebly as well, although admittedly not quite as much as WordPress and Wix. ★ READY TO GET STARTED? Just hit play, and we can start building YOUR WordPress website… TOGETHER!